Once again the headlines shout that Russia has invaded Ukraine. Once again NATO offers blurry satellite shots from a commercial service for evidence. 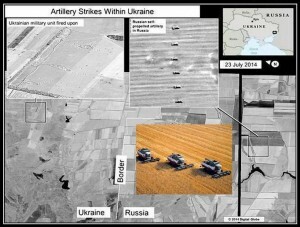 Here are June’s “invasion” satellite photos. This month’s “invasion” satellite photos are here. Again from a commercial source, Digital Globe. Photo 1: some “Russian” SPGs in Ukraine (everybody uses “Russian” ie Soviet equipment and the rebels have captured quite a lot). Photo 2: Some deployed artillery in Ukraine (ludicrously explained as how “trained military professionals” would deploy it. Hasn’t anyone in NATO HQ realised that the east Ukrainian rebels are pretty competent?) Photo 3: A Russian base with stuff in it and without stuff in it (but aren’t we continually told about the Russian “buildup on the border”, always alarming, always threatening, whatever the numbers: “very, very sizable” in March, 40K in April, 12K in July,20K in August. One should not be surprised that there’s some variance of equipment at a given base over time). Photo 4 and 5: Some guns in Russia pointing towards Ukraine (where, by the way, as NATO intelligence may know, there is a war going on with occasional firing into Russia. All military are trained to expect the worst.) And, by the way, if Russia did invade, don’t you think it would do it in strength rather than a couple of tanks here and a gun or two there? No wonder the Russians are laughing at this “evidence”; this isn’t evidence of anything except how gullible NATO thinks its taxpayers are. 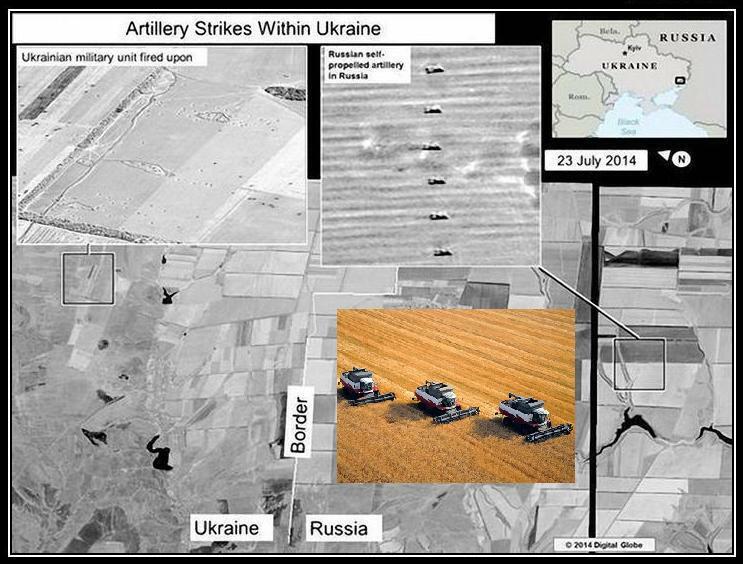 According to the US State Department, Russian self-propelled harvesters are firing at Ukraine. And I don’t trust NATO and its pitiful commercial images, I don’t trust reporters who “forget” to record things and I don’t trust Marie Harf and her “social media and common sense”. Political analyst for Russian and former Soviet Union affiars, who used to work for in the Canadian Department of National Defence. 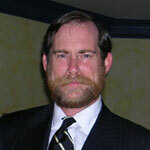 Political counsellor of the Canadian Embassy in Moscow in mid-1990s.